Narrow solid white gold insert satin brushed effect. 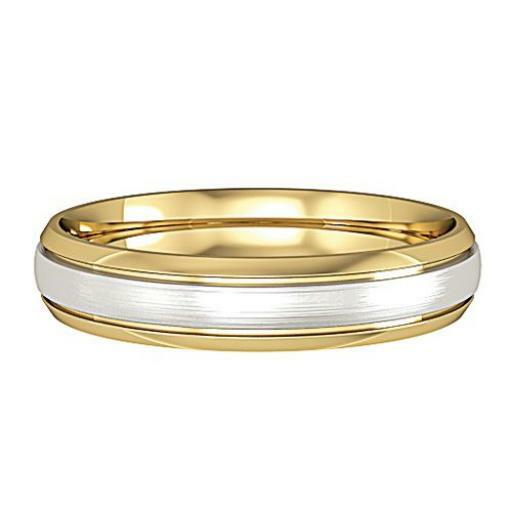 Polished yellow gold on either side. Perfect if you like the two tone colour.